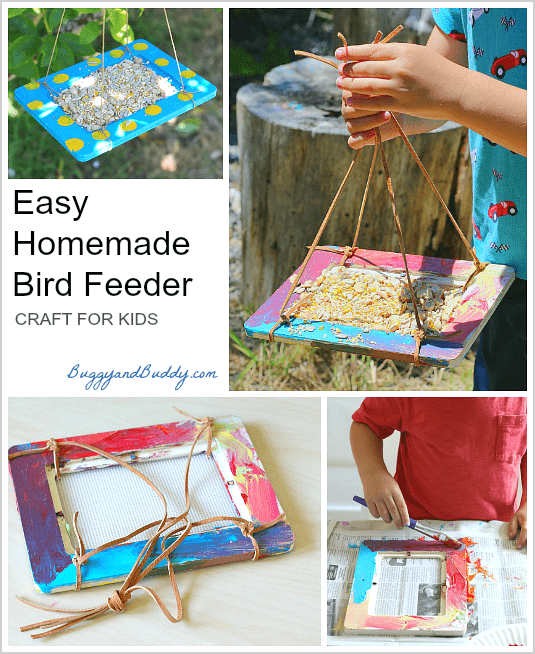 Here’s how to make homemade bird feeders with kids using a wooden frame. 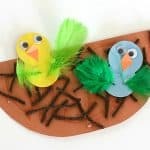 It’s a simple process and allows the kids to really take pride in their creations. 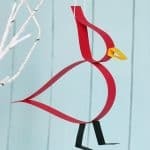 Hang them up in your backyard and observe all your backyard birds! 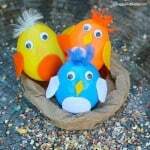 This post was originally published on June 29, 2015 and has since been updated. 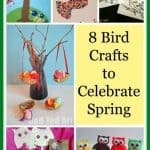 The kids and I had so much fun making these homemade bird feeders! 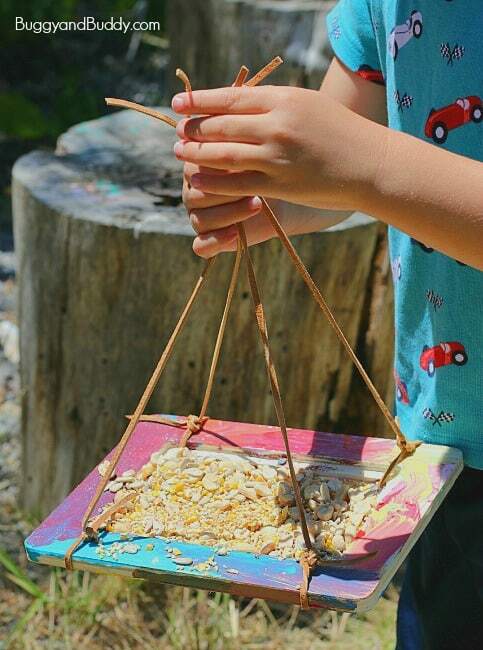 The main base of the bird feeder is a wooden frame. 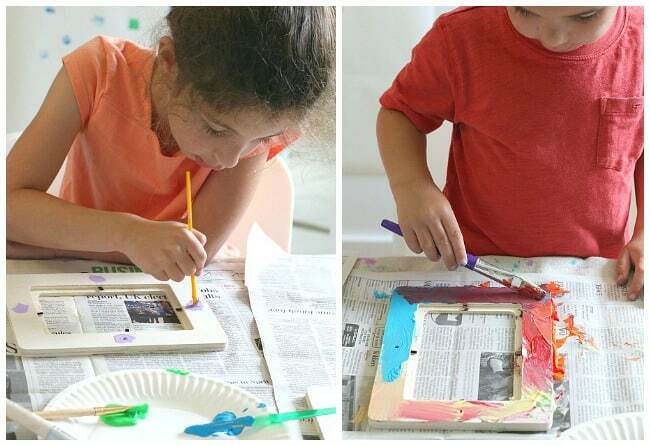 We used some frames our local craft store sells for $1, but you could also repurpose an old frame you’re no longer using. 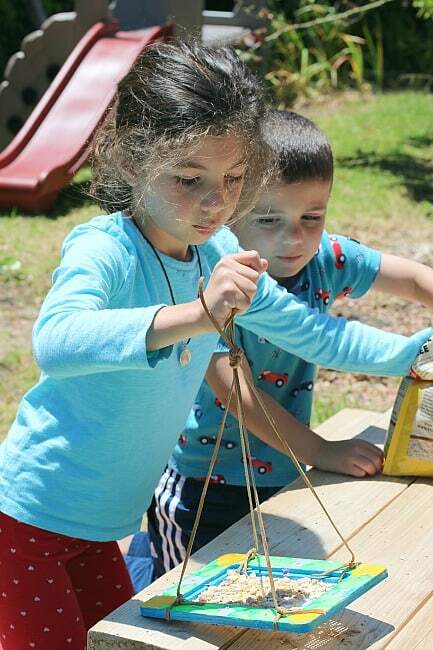 Our favorite part was hanging the completed feeders up outside in the backyard and trying to identify all our bird visitors. 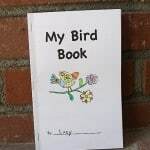 (Be sure to print out our free bird watching book for kids so they can record all their sightings!) This post contains affiliate links. 1. 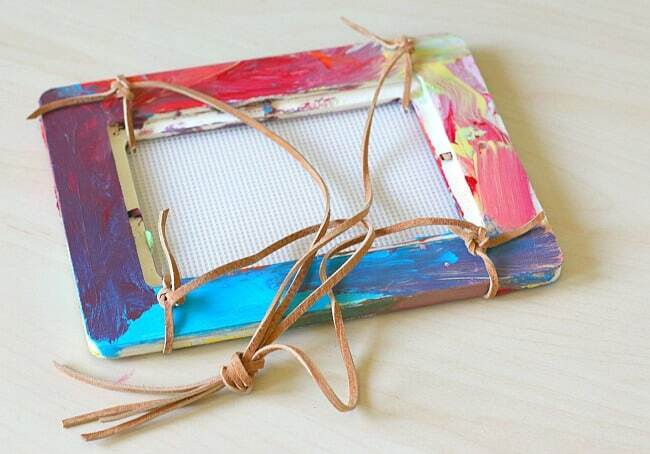 Start by painting your wooden frame with acrylic paints. Let it dry completely. 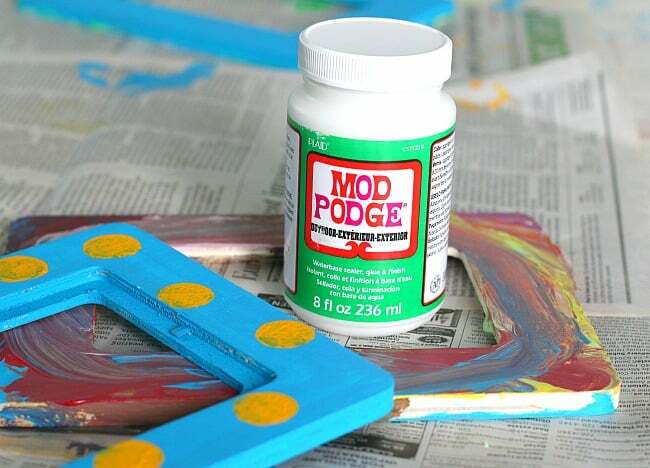 Optional: Seal your paint with an outdoor sealant to extend the life of the artwork. 2. 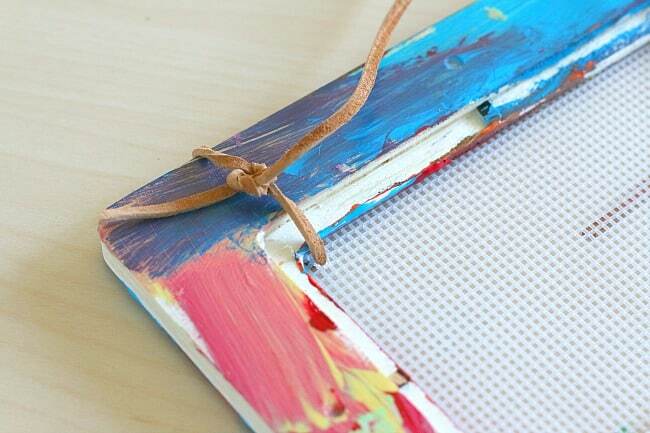 Cut your plastic canvas so it’s just a little smaller than your frame. 3. 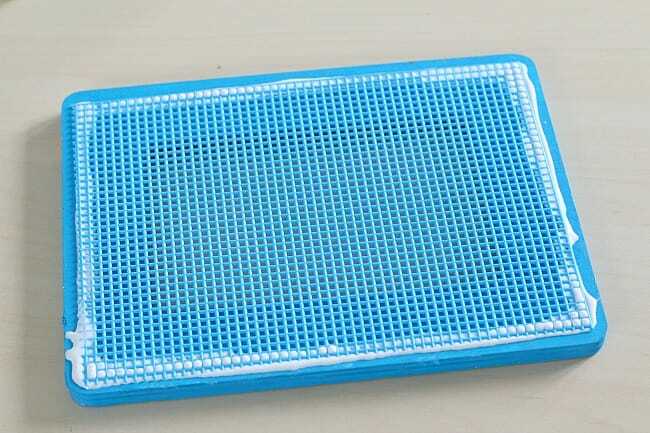 Glue it onto the bottom of your feeder with Tacky Glue or other strong glue. Let it dry completely. 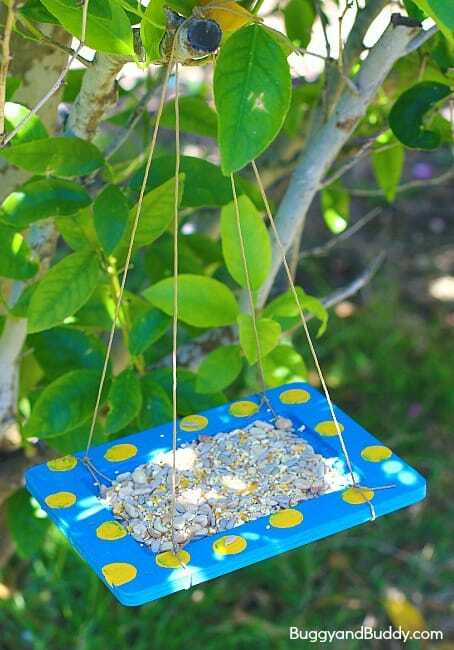 Optional: Press some tacks into the bottom of the bird feeder to better secure your plastic canvas to the frame. 4. Thread a piece of string though one of the corners of your feeder. 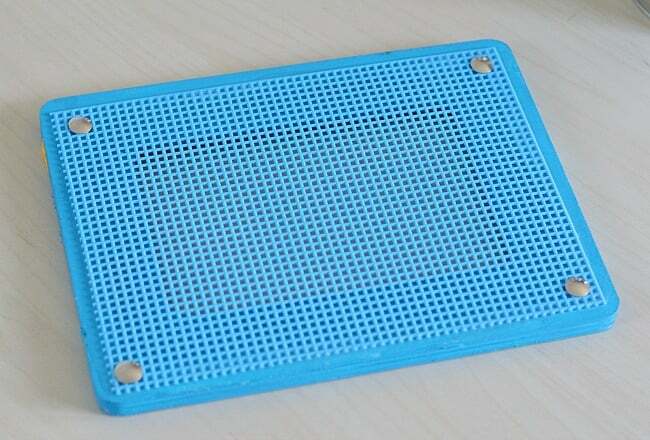 (You might need to enlarge one of the holes in the canvas if your string is thick. To do this, simply push a screwdriver through the hole to stretch it out.) Tie the string securely to your frame. Leave a tail about 12-14 inches for tying later on. 5. Do this with the other three corners. 6. Grab each of the four, long strings and hold them above the frame center. Tie them into one secure knot. 7. 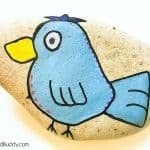 Fill your bird feeder with birdseed. 8. 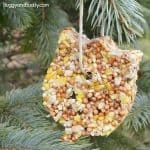 Hang your bird feeder on a nearby tree and enjoy watching your backyard birds! What a wonderful idea. 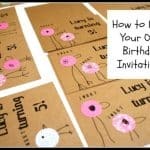 I wanted to let you know that I am featuring this on my blog.